This T-shirts collection is the first and unique in its kind. In this works merged manufacturer's workmanship and professional design. 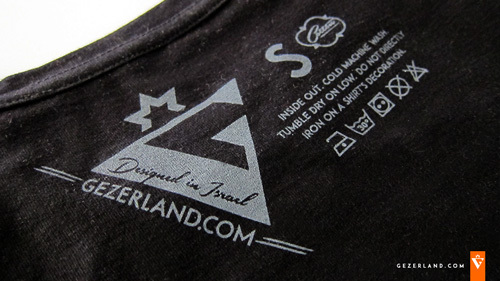 T-shirt production is located in Israel, that allows us monitor execution quality. Models are designed and sewn in Israel, and the whole process took place under the strict supervision of the designer. The prints of T-shirts have original design, printed in a really small quantities, and do not repeat the development from the other companies. High-quality fabric, good T-shirt's patterns, silk screen printing method, the brand labels - are hallmark products. The project found its name, graphic sign and corporate identity of Gezer Land, which became a highlighted accent in the composition. We know that important not only the beauty, quality and product uniqueness, but also accurate and timely delivery. so we chose the most convenient delivery methods: personal delivery in the middle of Israel, Israel-mail for the country's inhabitants and air shipments for the whole world. Your shipment will have a tracking number, we will include it in the email that you received when your order was shipped. You can check therices for delivery according to the weight of packages and the price shown on the official website of the Israeli Post office. 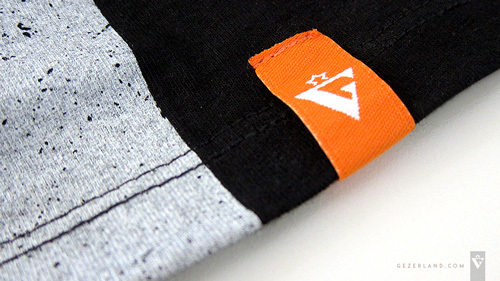 Below we present carefully checked dimensions of GezerLand T-shirts. Just compare it with the sizes of your favorite things.